Returning items for your Saturday, this might seem relatively minor by some standards but Wrecks oldbies will recall the rather amusing images on the old 404 page. The search results page had been edited and these are now featured should you fail to find anything on your search. For a bonus I’ve added 4 new ones. 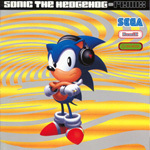 Additionally there’s a new addtion to the music section, the Sonic The Hedgehog Remix album has returned to the Depository. Heck, this one never even had a conversion to the old version six of the site from 5.0 so we’re making progress! More updates tomorrow – don’t forget to tune in to episode five of Radio Redux tomorrow at 7pm GMT/2PM EST.